In 2005, Mitra Creative‘s founders, Karl Joseph Ufert and Vincent Wang, decided to branch out from a separate online products site — a precursor of Etsy called “Iluren”, dedicated to selling handmade, high-concept modern, specialty home decor and jewelry works by important emerging designers — to providing online marketing and communications services to businesses in various industries. Drawing upon Karl Ufert’s — Mitra Creative’s President for the entire decade — 20+ years in the technology, education and media industries, Mr. Ufert and Mr. Wang (Mitra’s original Chief Creative Officer), began working with midsized and small businesses in the New York area, and in Taipei, Taiwan (where Mr. Wang was raised–he permanently relocated to Asia in 2009). They supported a wide array of the digital (website design and development, microsite production, online banner and other ads, and motion graphic presentations) and marketing (communications and strategy) needs of these companies. Initial engagements were with several entertainment entrepreneurs, prominent educators, as well as larger projects for midsized IT business solution provider companies–principally, “Value-Added Resellers” (“VARs”), that provided/provide services through the technology Channel with globally renowned brands, Hewlett-Packard® (HP®), Microsoft®, Cisco®, Oracle® (and their later acquired brand, Sun Microsystems®), Citrix®, Apple®, VMware®, Symantec®, Hitachi®, Network Appliance®, and more. (Also, working, in support of these VARs with Fortune 500 technology distributors, Ingram Micro®, Tech Data®, Synnex®, and Arrow® Electronics.) Other projects in the company’s first years were for MTV® Networks, The National Football League® (NFL®), and Condé Nast® Publications, as well as for Procter & Gamble® (P&G®) for their Crest® products. 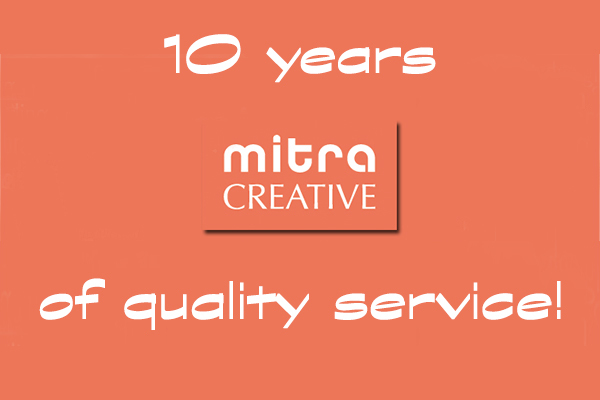 Joining as partners in Mitra Creative were a full-scale web/software development and other technology team, co-chaired by Karl Ufert’s longtime colleague Ifan Chang, to provide advanced development and IT support to Mitra’s clients. (The technology team also formed a separate business entity, Right Brain Lab, of which Mr. Ufert is also a part, which could then/still can support technology and other projects independently from Mitra Creative’s front-end marketing/creative assignments.) This relationship led to the development of Mitra’s most sophisticated websites/other platforms, from sites for the nearly 30 year-old solution provider, Derive Technologies (e.g. Derivetech.com, the new Derive Healthcare site dedicated to Derive’s 10+ -year healthcare technology practice, and a new site — launching in February 2015 — reflecting Derive’s relationship with its longest healthcare/point-of-care solutions partner, Metro® Healthcare. ), to the entirely custom website and publishing workflow platform for the historic Brooklyn Daily Eagle® newspaper/media outlet. We’ve “weathered” — ironic to use this word on the day of a brewing snowstorm, with accumulations of potentially historic proportions — quite a lot over the past 10 years, including the 2008 economic crash and plenty of ups and downs, but we’ve come into 2015 strong and poised to undertake many new projects. We’re starting out the year having launched/launching the two website projects with Derive and with Metro Healthcare, and increasing our efforts — especially with regard to Social marketing, SEO, and Marketing Automation — for other existing and new Mitra clients. We’re also making special offers to new clients for discounted services. Please view the video for more information, and we’ll be providing news about other promotions soon. “Mitra” means “friend” in Sanskrit, and, now, in Hindi. That’s how we started our company–helping our friends, and being trusted advisors to many others with whom we’ve collaborated and for whom/with whom we’ve worked. Thank you to every one of our clients and partners for being there for a full decade!